Alexandra is excited for the upcoming opening of her brand new bridal boutique. She’s got a great selection of brand name gowns stocked up for brides of all sizes. The shop is elegantly decorated, warm, and inviting. There’s just one major thing missing from the boutique: mirrors. When women are trying on dresses for the most important day of their lives, they want to see themselves in the perfect gown from every angle. So where does one buy the best custom mirrors in order to give each and every bride who enters the shop an amazing gown shopping experience? The answer is online. Shopping for custom mirrors online has never been easier or more fun. Alexandra already has the perfect space lined up and ready for those mirrors, so now all she has to do is place her custom order using the measurements from that space. 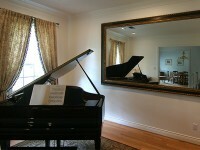 Along with the size, she can also customize things like the framing of the mirrors. If the rest of the furniture in her shop has a bit of a rustic look to it, she can shop through an entire collection of rustic mirrors. If the majority of her shop has silver or gold adornments, she can choose a silver or gold frame. 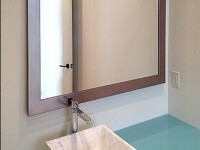 The shapes of the mirrors themselves can even be customized to meet her specific desires or needs. Nothing shows a bride how beautiful she truly looks in that perfect gown quite like a trifold set of mirrors that allow her to get a good look at the dress in its entirety. Alexandra can already picture many mothers of the bride and bridesmaids sitting on the luxurious couches and chairs she has in place, watching the belle of the ball spin around in the dress that the bride they love was made for. It’s why she decided to get into this business in the first place, and she’s going to choose mirrors that make that specific moment even more special for all involved. When shopping for mirrors for a bridal boutique, one should focus on quality above all. The mirrors available from this great website are created of the highest quality products and fitted together professionally for a solid mirror that’s built to last and that will provide many special moments in the future. Even better than the fact that these are top quality mirrors are the prices to be found on this website, as well as the overall convenience of the online shopping process. When you buy custom mirrors online of this level of quality, one might expect to spend a small fortune, but that is not the case when shopping on this site. Prices are affordable, the products get rave reviews from all previous customers, and appointments and installations are a breeze. The entire shopping process is a simple, convenient one, which is the perfect scenario for someone such as Alexandra, who simply wants to get her shop open in time for brides who are planning early spring weddings. There’s no better place to get mirrors for dressing rooms, clothing boutiques, or even home use than from this one amazing website.